Cruising to far-flung exotic locations has just become achievable aboard the newly renamed LADY E (previously Lady S). 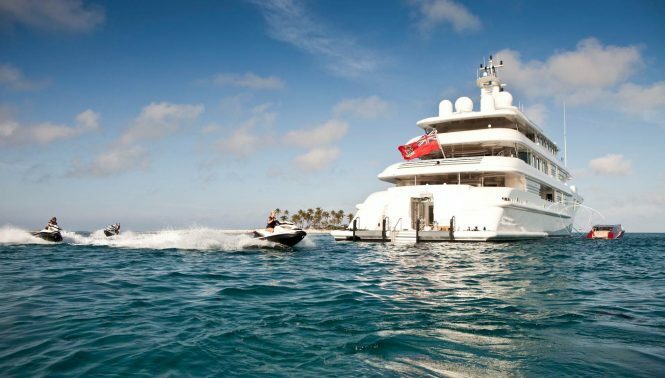 Launched in 2006 by Amels of the Netherlands, she was refitted in 2014 and at 68.5m, the superyacht accommodates up to 12 charter guests, across 7 cabins. Amels B.V. Makkum is responsible for the naval architecture, while Walter Franchini/Richard Hein created her stunning interiors. 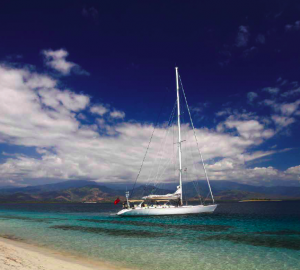 The yacht is currently available in South East Asia and the Indian Ocean. 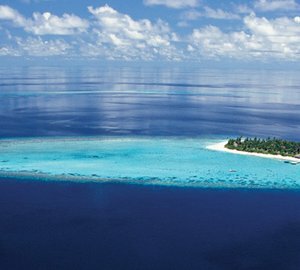 An exceptional layout with amenities galore, this is the ideal yacht to explore fascinating destinations, such as the popular Mediterranean, an exciting event filled Abu Dhabi, tranquil Maldives and Seychelles, not forgetting Thailand, Singapore and Myanmar of South East Asia. The yachts interior styling is timeless and elegant, from the social gathering areas to the deluxe accommodation over 3 floors. The main deck salon is generous with an abundance of relaxing areas, surrounded by large windows providing fabulous natural light and scenic vistas. Neutral fabrics are paired with warm woods and bespoke detailing, evoking sophistication. Included on the main deck are a fully equipped cinema facility within the salon, VIP suite and full beam master stateroom. Her upper deck offers a lovely sky-lounge aft and formal dining arrangement forward, further to this, is an optional 7th cabin, generally provided for guests’ staff. The lower deck aboard the Amels features 3 double and one twin cabin, each of which have their own colour palate. 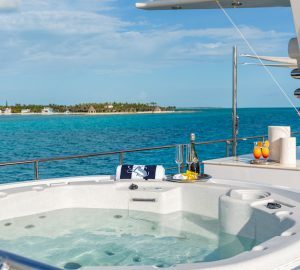 Motor yacht LADY E will have those who enjoy the outdoor lifestyle in awe, with her sprawling 4 exterior living areas, as well as a sizable extended swim platform, with a plethora of the latest sea fun at charter guests’ fingertips. 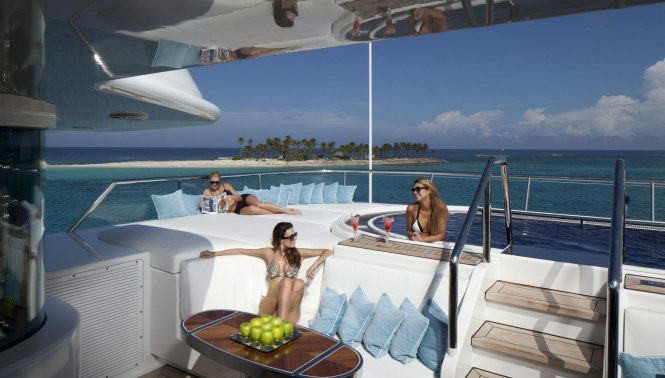 The main deck aft is shaded with vast seating, a real space to unwind, chat and simply enjoy. Heading up to the upper aft deck, there are an outdoor lounge and alfresco dining option. 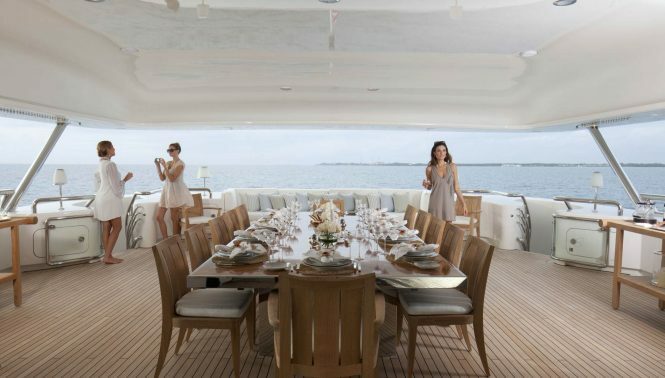 Her sundeck boasts yet another alfresco dining area, seating, sunning and large pool with built-in jets. 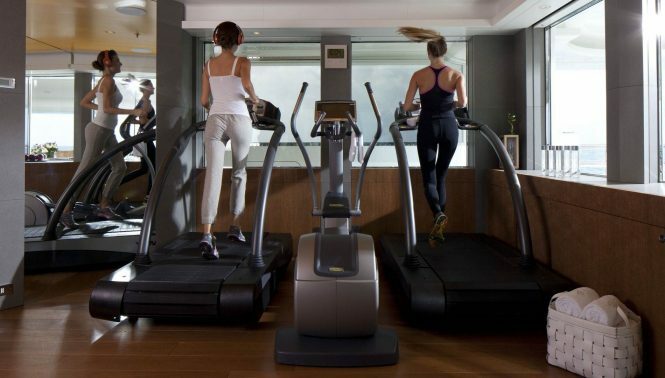 Located centrally on the sundeck, guests can keep up with their fitness regime in the state-of-the-art gym. An observation deck is just above, complete with chaise loungers and spectacular views. As if the yachts exceptional amenities weren’t enough, they also include a hammam, massage room and spa with a dedicated therapist, RYA training centre and lift to all interior decks. 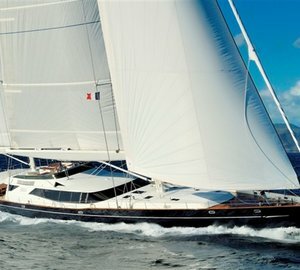 Please contact CharterWorld - the luxury yacht charter specialist - for more on superyacht news item "AMELS' 69m superyacht LADY E (ex Lady S) ready for South East Asia Yacht Charters".